Anyone who thought that Compile Heart couldn't pull together a genuinely good quality JRPG to go with its trademark insanity really needs to play Fairy Fencer F, and prepare to have their mind blown. Billed as a "more serious" take on the Hyperdimension Neptunia formula, Fairy Fencer manages to be a clever little JRPG with a rock solid combat system and endearing characters. It's worth noting from the outset that 'more serious' doesn't actually mean 'serious.' 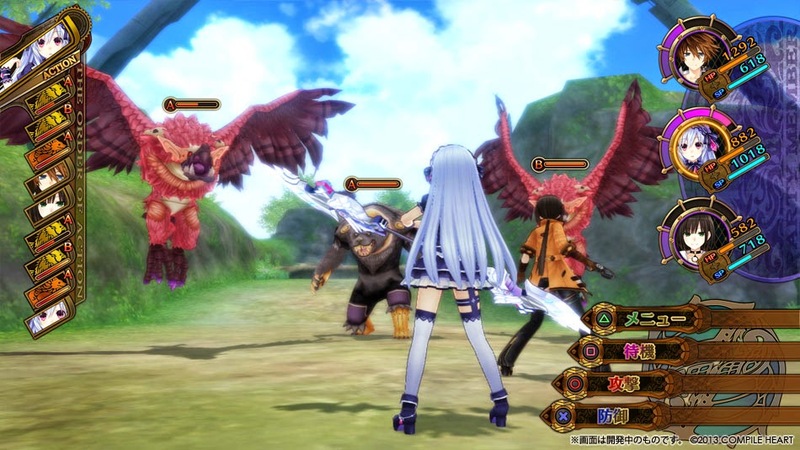 Fairy Fencer F doesn't have a sword shaped like Keiji Inafune, nor does it have enemies that are literally screenshots from other games, but it's still on the light and frivolous side of the JRPG spectrum. In the game we follow the story of Fang, a lazy loser that is uninterested in anything other than where his next meal will come from. He runs into Eryn, a fairy that encourages him to pull an Excalibur-like sword out of a rock in a nearby town. No one else can, but he has the power of a fencer in him, and by claiming the sword he becomes a fairy fencer. See, that's where the title comes from! From there, Fang finds himself on an epic quest to gather more of these swords (which all host fairies within them). Why? Because a Goddess for Good can be released by using the power of these fairies, or something. It's hard to follow at times, and as a broad narrative Fairy Fencer F is best to cycle through without thinking about too much when that happens. There are also some weird character motivations, but light hearted writing and entertaining dialogue more than compensates for any weaknesses in the broad narrative. Overall, this game is as restrained as Compile Heart has ever been, and Fairy Fencer F is almost elegant in its storytelling. There are of course moments of fanservice that serves no other purpose than fanservice, because this is a Compile Heart game and the developer knows what the fans expect from it. Our introduction to one particular character has her stripping her clothes off for no other reason than she's 'hot.' As an odd quirk about being otherwise more serious in tone than the Hyperdimension Neptunia games, this kind of fanservice is actually more difficult to argue in favour of as it loses its self-referential edge and becomes more akin to exploitation. The rate in which this sexualisation happens is less common than in other Compile Hearts titles, but it's also more jarring with the tone of the rest of the game because it's not accompanied by as much other humour that contextualises it. 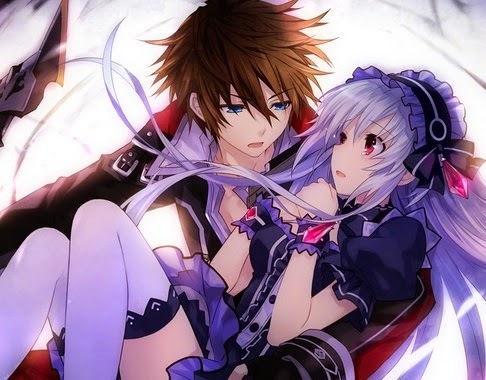 At the same time there are some delightful symbolism that rolls through Fairy Fencer F. The way it explores close relationships (essentially marriages) between fencers and their faeries is often touching, with a strong understanding on how the strongest relationships often still rely on individualism and very different personalities in order to succeed. One of the core mechanics of the game is to have the fairy (in weapon form) impale his/ her human fencer to grant them increased attack and defense power; a fairly simple but effective metaphor to the way that conflict and pain when channeled and handled well can enhance the strength of a relationship. Players also find themselves in a constant temptation to work to save the evil twin to the Good Goddess despite repeated promises of the devastation that he would cause if freed. Why would a player do this? Because the Evil God does offer players all kinds of in-game powers for working to his benefit. So there's a classic exploration of the tension between good and evil there, too. Without ever allowing itself to become too weighted down by hard-and-heavy themes, Fairy Fencer F is more than a silly comedy. It's a genuine attempt by Compile Heart to push its own boundaries and break away from its typecast. This narrative is ably supported by Tsunako's excellent character design. The same creative designer behind the Hyperdimension Neptunia characters, as well as anime such as Date A Live, Tsunako gives each character a bright personality through their design alone. Compile Heart also picked up the talents of the one and only Nobuo Uematsu to produce music tracks (and the music in the game is awesome), and Yoshitaka Amano as the concept artist. It's an odd kind of game to boast an all-star artistic talent, but it all comes together quite beautifully. 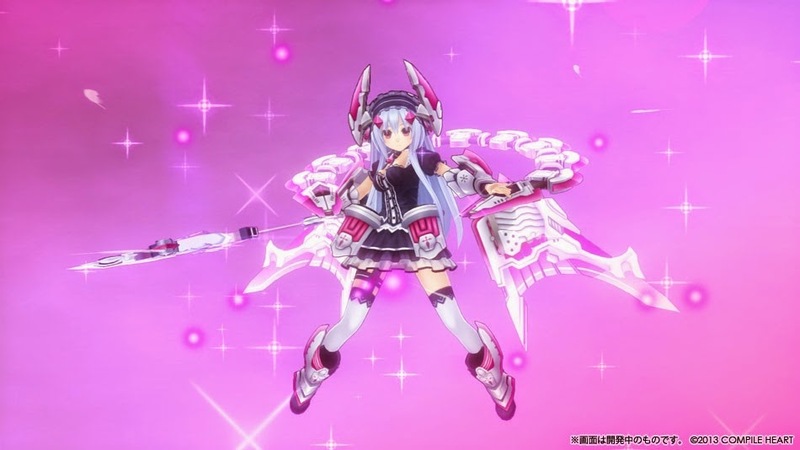 As a game, Fairy Fencer F plays very much like the Hyperdimension Neptunia. It's a turn based combat system, where players manoeuvre their characters through a small environment, and line up attacks with whatever enemies they can find in range. 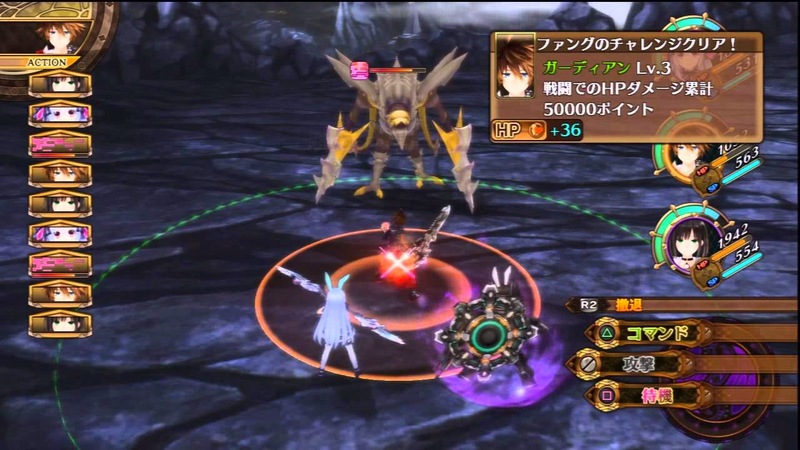 On a character's turn, they can chain together a number of weaker attacks (where it's possible to juggle the enemy in the sky for additional effects, which is something you couldn't do in Hyperdimension Neptunia and a nice addition), go for a special ability, or as mentioned above, stab themselves with their fairy to become powered up. As with the Hyperdimension games there's just enough strategy involved in this system to make for a nicely engaging system, without being so difficult to frustrate. Amazingly enough Compile Heart has also done a great job with the tutorial this time around. Usually a point of weakness for the developer, this time around players are introduced to the various systems in a logical, easy, and understandable manner. The full gameplay structure still ends up being too complex to properly explain in words, but by the time you're using all of the game's systems, they're all going to make sense. In addition to the usual weapon and armour upgrades (and a synthesis system that allows players to craft items so long as they've got the right materials), Fairy Fencer F has one other upgrade system that is a lot of fun to get involved with. By rescuing lesser fairies (as in, those that don't have a role in the narrative), it's possible to then bond them to a character. Only one fairy can be bonded to a character at a time, and each one offers different powers. Some are powerful boosts to melee combat, others offer special resistances or a magic boost. These fairies can be levelled up by pairing them with a character, so building the ultimate combination of heroes and fairies is a process that the most grinding addicted will find to be addictive stuff indeed. 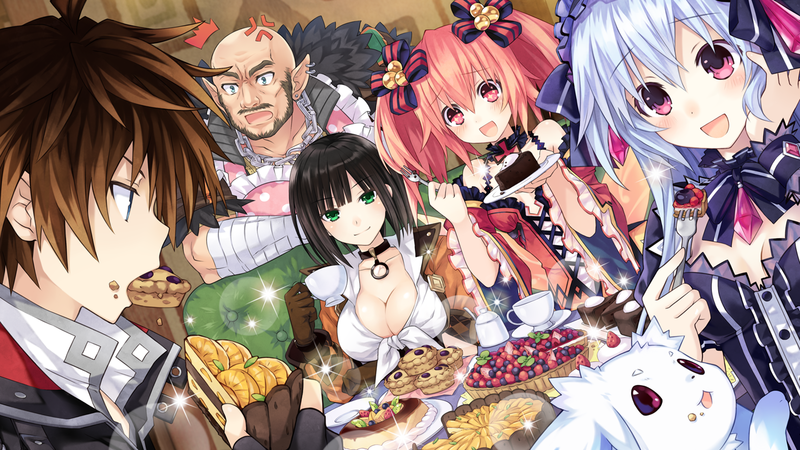 As a new franchise, Fairy Fencer F is off to a heck of a start. It channels the sense of fun that the Hyperdimension Neptunia series is well known for, with cleaner and more refined production values and a touch of restraint (for the most part) to the storytelling that should see it appeal to a broader audience. Compile Heart games will always be niche, but this time around the developer has produced something that people outside the niche should check out anyway. Item Reviewed: Review: Fairy Fencer F (Sony PlayStation 3) 9 out of 10 based on 10 ratings. 9 user reviews.